The Opponent: The Angels are red-hot and have taken over first place in the AL West, and they're doing it with great offensive seasons from Mike Trout and the ageless Albert Pujols and a serviceable pitching staff. The Angels have won 13 of 15 games this month and have won seven straight games heading into Thursday afternoon's game against the Twins. 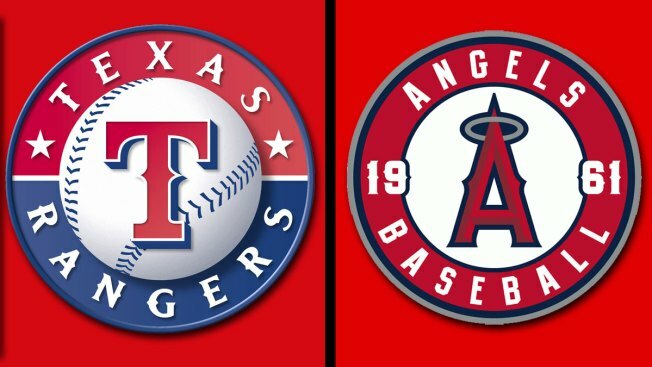 Past 2015 Meetings: The Rangers are 2-7 this year against the Angels and just got swept by the Halos in Arlington earlier this month. Pitching Matchups: Friday — Colby Lewis (9-4, 4.63 ERA) vs. TBD; Saturday — Yovani Gallardo (7-9, 2.91) vs. Hector Santiago (7-4, 2.30); Sunday — Nick Martinez (5-5, 3.92) vs. Andrew Heaney (4-0, 1.57). What's Hot: Some of it's undoubtedly because of the Coors Field factor, but the Rangers' offense is all hot at once. No one's hotter than Rougned Odor, who's batting .429 over his last six games with two doubles, three triples and two homers in his last six games. Adrian Beltre's power still isn't back from his thumb injury, but he's hitting line drives again and he has seven hits in his last six games to go with four walks. Colby Lewis allowed two runs and fanned seven in 7 1/3 innings of work his last time out against Houston. Kole Calhoun is giving the Angels another option at the plate other than the two usual suspects. He's batting .450 with a double and three home runs in his last six games. The ageless wonder that is Albert Pujols is on a tear, as well. He has three home runs (that he hit in one day in a doubleheader) in his last six games. The Angels' pitching has been spectacular over the last week. Literally, no one has been bad. What's Not: Both Nick Martinez and Yovani Gallardo should be well rested heading into their weekend starts in Anaheim, as neither was able to get past four innings of work in their last outing. Martinez allowed seven runs in four innings, while Gallardo matched Martinez's four inning but allowed five runs. Josh Hamilton has six hits and seven strikeouts in his last six games as he heads back to Los Angeles as a former Angel for the first time. Mike Trout is hitting just .158 over his last five games, and Matt Joyce is hitless in his last 12 at-bats. Familiar Faces: Josh Hamilton was basically given back to Texas in April for pennies on the dollar after he'd signed a big $125 million deal with the Angels following the 2012 season. Hamilton wasn't nearly as productive in LA as he was in Texas and his admitted drug and alcohol relapse earlier this year seemed to be the last straw. Another former Ranger in LA, C.J. Wilson, is enjoying a relatively successful season on the mound. Remember Daniel Robertson? It's OK if you don't, but he was a decent player for Texas in the forgotten 2014 season. Now, he's playing for the Angels.